APRIL 28, 2016 – The team at Better Daze Music has announced the release of the latest single from their Musical Schizophrenia album. “Sail Away” offers a mellow, curiously upbeat glimpse into the soul of a man looking for unconditional love. 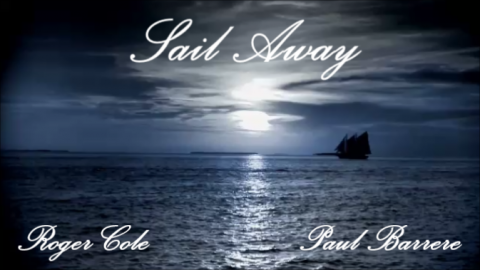 Roger Cole and Paul Barrere at Better Daze Music collaborated on “Sail Away”, masterfully contributing the music, lyrics, vocals, back-up vocals, instrumentals, engineering, and mastering that led to the fine-tuned final version. “Sail Away” starts out with the lyrics “I’d like to sail away into a brighter day, float upon a dream’s wind, just let the light of day push all the clouds away, feel your love again and again”. The song conveys a poignant message of a man who wants to escape reality to find a lost love, and a man who wants someone to take his hand and “love him until the end of his days, to always hold him tight, light up his darkest nights, tolerate his foolish ways”. At the end of the song, he says, “Sometimes I feel there’s nothing quite like the ocean, a single appeal that fills you like a lover’s emotion”. Creating “music for the sake of music”, Paul Barrere and Roger Cole are the musicians and driving forces behind Better Daze Records. Wanting to avoid the guidelines set forth by big labels and distributors in the name of mainstream music, the two set out to create Better Daze Records. Through their own label, Barrere and Cole inject their own flavor of expression and creativity into each of their unique works. Previous Atlantis: The Small Island Has Been Found! Next Great new song tribute to David Bowie by Sarantos for “Tired Of Being Scared." The charity for this one is The Trevor Project.